Allen Bradley MicroLogix 1000 series provides small, economical programmable controllers. It has many benefits like Compact Size,Choice of communication networks, Comprehensive instruction set,Fast in speed. They are available in configurations of 10 digital I/O (6 inputs and 4 outputs), 16 digital I/O (10 inputs and 6 outputs), 25 I/O (12 digital inputs, 4 analog inputs, 8 digital outputs, and 1 analog output), or 32 digital I/O (20 inputs and 12 outputs) in multiple electrical configurations of digital I/O. 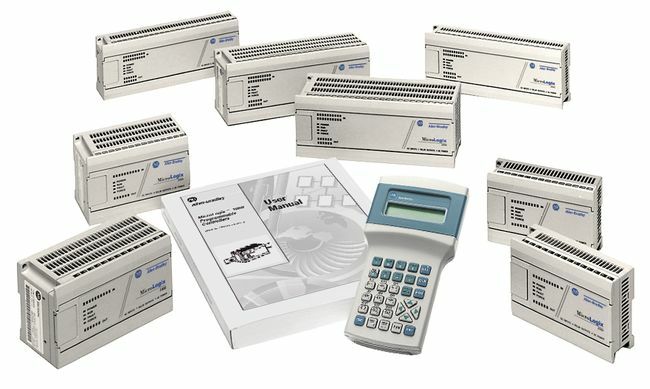 The I/O options and electrical configurations make them ideal for many applications. Subscribe to Automation-Talk by Email. It comes with many Communication port facility like Point-to-Point—RS-232, DH-485—RS-232, EtherNet/IP—RS-232 , DeviceNet—RS-232, DF1, half-duplex—RS-232. You can choose your PLC according to your Communication port requirement. Subscribe to Automation-Talk by Email. for more Manuals.